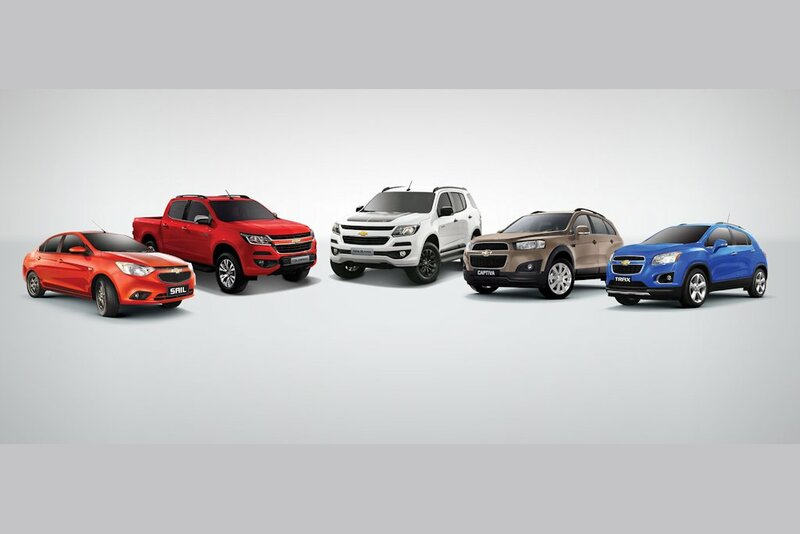 The Covenant Car Company, Inc. (TCCCI), exclusive importer and distributor of Chevrolet automobiles and parts in the country, offers exciting deals to customers with a P 48,000.00 (Sail 1.3L LT M/T) all-in low down payment or P 68,0000.00 (Sail 1.5L LT A/T) on the Chevrolet Sail and a P 78,000.00 all-in low down payment on the Chevrolet Trax (Trax LT), and Chevrolet Captiva (Captiva 4x2 Diesel). The promo comes with a 3-year LTO registration, free Chattel Mortgage, free 1-year Comprehensive Insurance, and Chevrolet 5-year Warranty Package. Powered by either a 1.3-liter engine with 5-speed manual transmission or a 1.5-liter engine with 4-speed automatic transmission, the Chevrolet Sail is a four-door sedan that provides a comfortable and smooth driving experience. It boasts a 9-inch touchscreen infotainment system, 16-inch gunmetal alloy wheels, sunroof and advanced safety features such as Anti-lock Braking System (ABS), Electronic Brakeforce Distribution (EBD) and driver and passenger airbags. The Chevrolet Trax has a class-leading array of advanced safety systems including 6 airbags, Panic Brake Assist, Roll Over Mitigation, Electronic Stability Control and Hill Descent Control. It has a segment-first 1.4-liter turbocharged engine that provides efficiency in city driving and power on the open road. The Chevrolet Trax LT also comes with a 7-inch touchscreen Chevrolet MyLink System with Siri Eyes Free that allows hands-free connectivity. Built with a 2-liter CRDI turbo-diesel engine with 6-speed automatic transmission, the Chevrolet Captiva provides car-like comfort, superior ride and handling, commendable SUV capabilities and modern features. The 7-seater compact SUV is equipped with convenient features such as Bluetooth connectivity and steering wheel mounted audio controls and safety features such as rear suspension auto leveling, anti-lock braking system, rear park assist and rear window defogger. 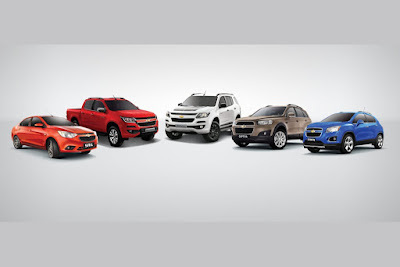 The Chevrolet Sail, Chevrolet Trax and Chevrolet Captiva come with a 5-year warranty program, which offers coverage of five years or 100,000 kilometers, whichever comes first. Chevrolet owners are automatically enrolled in the 24/7 Chevrolet Emergency Roadside Support for 3 years, with an option to renew on the 4th year of ownership. Avail of the P 48,000.00 or P 68,000.00 all-in low down payment on the Chevrolet Sail until December 31, 2016. Avail of the P 78,000.00 all-in low down payment on the Chevrolet Trax and Captiva until December 31, 2016. Qualifications for ownership packages are subject to bank approval. The promo is in partnership with BPI Family Auto Loan, Security Bank, PBCom, MayBank and Robinsons Bank. The True American Brand! Mas Malaki ang tiwala dito sa Chevrolet!! !